Since its inception in 2000, MFR has been operating out of its Head Quarter in Milan, Italy. The Head Quarter team supports operations globally; management and back office functions are based here. 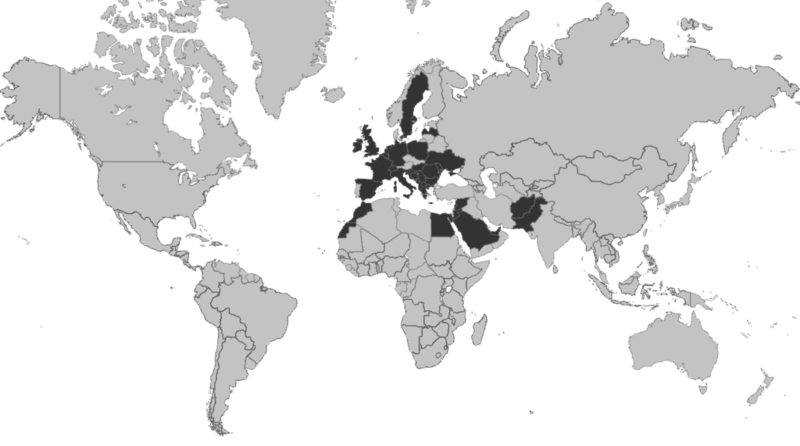 Out of Milan, we also directly serve our markets in Europe (EU/non-EU countries), the Middle East and North Africa. Europe: Since inception, we have carried out more than 240 assignments in the region, of which 112 are within the Jasmine and EaSI TA projects funded by the European budgets. In the Italian market, we initiated partnerships with some of the most active Cooperative and Ethical Banks and the sector of the Guarantee Schemes (Confidi). MENA: With 51 assignments since inception, we have been particularly active in Morocco, West Bank & Gaza and Jordan. In 2017 we started cooperating with the Islamic Development Bank on specific projects related to microfinance. Discover more on our clients: Visit Our Reports and become a Subscriber. 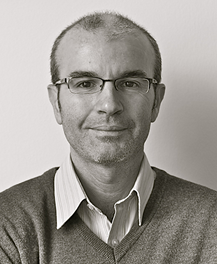 MFR’s Managing Director & Founder, Aldo is also a shareholder and board member. Aldo leads MFR’s Management Team, providing strategic guidance and supervision of operations and representing MFR at global level. He sits in the Rating Committee Unit and systematically supervises all new issues of rating reports. Since the beginning of operations in 2000, Aldo has carried out 200+ rating and assessment missions. Aldo has been an active member within the most relevant industry initiatives, including as a Board Member of SPTF, Board Member of African Microfinance Transparency and SMART Campaign Certification Committee member. Since 2008, Aldo is also a faculty member at the Boulder Microfinance Training Program. Before joining MFR, Aldo worked at Banca Etica and ETIMOS, respectively a commercial bank and an international financial consortium, and was in charge of the microfinance investments portfolio. Aldo holds an MSc in Economics. He is fluent in English, Spanish, French and Italian (native). Aldo is fond of sports and practices running, cycling, swimming and skiing. Operations Director since 2010, Giorgia is in charge of coordinating operations and teams worldwide and is based out of MFR’s HO in Milan, Italy. She is responsible for planning, budgeting, internal processes and resource management. She also oversees commercial activities and achievement of objectives throughout the network. She is a member of the MFR Management Team, Sales Task Force and is also the BoD Secretary. She sits in the MFR Rating Committee Unit and is a BoD member of most of the locally registered regional companies. Giorgia joined MFR in 2003 as Analyst, participating in over 100 assignments in 30+ countries worldwide, acquiring an extensive field experience as team leader and project manager. In 2006, she was appointed as Regional Manager for Sub-Saharan Africa and she was responsible for setting up MFR’s regional office in Nairobi in 2007. Giorgia worked as Project Manager for an Italian NGO, managing economic development projects funded by the EU and the Italian bi-lateral cooperation in West Africa. Giorgia holds an MSc in Economics and International Relations. She is fluent in English, French, Spanish and Italian (native). Giorgia has been practicing Improv Theatre since 2008, her second love besides visiting new countries. Business Development Director, in charge of the Innovation Committee’s effort towards new business lines, partnerships and delivery channels. Business Development Director since 2015, Lucia contributes to the development of new services and to the upgrade of MFR’s methodologies. She is responsible for the Data Platform Project, for studies and research, and for the relationships with several investors and industry initiatives (e.g. contributing to SPTF and Smart Campaign methodologies evolutions). 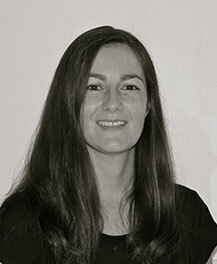 Lucia is a member of MFR’s Management Team, Rating Committee Unit, Technical Group and Innovation committee. Lucia joined MFR in 2005 as analyst. Social Rating Director from 2010 to 2015, she was in charge of the issue of social ratings and client protection certifications. She acquired an extensive field experience with 90+ field assignments in 44 countries worldwide. Lucia holds an MSc in Economics and Management of Public Administration and International Organizations from Bocconi University (Italy). She is fluent in English, French, Spanish and is an Italian native speaker. Lucia enjoys learning about the countries she visits by reading and working with people. Chiara is Inclusive Finance Director, in charge of the technical and business-related aspects of MFR’s inclusive finance and social performance services and projects. Created in 2018, this position is taking over and extending the scope of our Social Rating Department, which Chiara successfully led since 2015. As Inclusive Finance Director, Chiara is responsible for the coordination and quality control of related operations at global level and she contributes to their business development. Chiara chairs the Social Rating Committee, the Smart Campaign Certification Committee and coordinates the activities of the European Code of Good Conduct within MFR. Since late 2017, she is the Assessor Manager for MFR within the GSMA Mobile Money Certification Scheme. Chiara is a member of MFR’s Technical Group and Management Team. 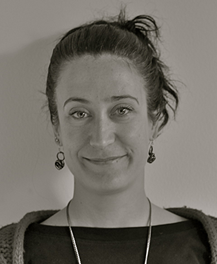 Chiara has worked in the microfinance sector for over 10 years. She joined MFR in 2009 as analyst in Bishkek, Kyrgyzstan. Since then she has conducted more than 70+ field assignments, mainly in Europe, Asia and Africa. Before joining MFR, Chiara worked a few years as CFO at a rural-based MFI in Zambia. Chiara holds an MSc in Economics and International Finance from Università del Sacro Cuore (Italy). She is fluent in English and is a native Italian speaker. Chiara loves cooking and trying out recipes from all over the world for treating family and friends. Chairperson of MFR’s Financial Rating Committee Unit since 2009, Ivan also oversees the Quality Control activities on financial assignments. 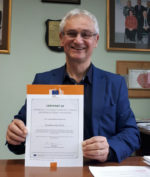 Ivan chairs the Rating Committees for Financial and Credit Ratings worldwide and coordinates other senior members of the Rating and Quality Control Unit; overtime he has chaired more than 400 Committees. As chair of the Credit Rating Committees for the regulated markets of Ecuador and Bolivia, Ivan is authorized by the respective Supervisory Bodies. As one of the most senior experts in the company, Ivan leads and coordinates training and coaching of rating analysts worldwide on financial and risk topics. He is also an active member of MFR’s Technical Group and he is part of the Management Team. Ivan joined MFR in 2004 as Analyst, participating in over 130 assignments worldwide. Before joining MFR, Ivan worked for 5 years in Latin America in the economic development field, carrying out evaluations, technical reviews and consulting activities in microfinance, rural finance and the MSMEs sector. 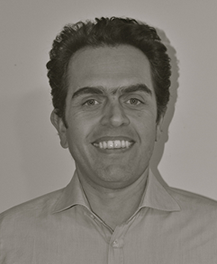 Ivan holds an MSc in Economics from Bocconi University (Italy). He is fluent in English, Spanish, Portuguese and is a native Italian speaker. Ivan loves travelling around the world and discovering the hidden beauty of each country and culture. As the Head of the Tender Unit since 2016, Sylvie is responsible for screening tender opportunities and coordinates the application process and the elaboration of proposals. In her role, Sylvie works in collaboration with the Regional Managers and the Business Development Department. Sylvie has worked in the microfinance sector for over 10 years. She joined MFR in 2007 as analyst and she has since then conducted more than 100+ ratings, assessments and client protection certifications, acquiring an extensive field experience, mainly in Africa, Asia and Europe. Between 2010 and 2015, she served as Regional Manager for Sub-Saharan Africa, in charge of relationship management with clients and all main stakeholders in the region, as well as overseeing the operations of the Nairobi regional office. Sylvie holds an MSc in Economics and Management of Public Administration and International Organizations from Bocconi University (Italy) and a Postgraduate Master Degree in Development and International Cooperation (CID Bologna, Italy). She is an Italian and French native speaker and is fluent in English. Sylvie loves travelling around the world and she shares this passion with her lovely family. Joris is Regional Manager for Middle East and North Africa (MENA) since 2012, he is in charge of Pakistan since 2016 and of Francophone Africa since 2019, and he is based out of the Head Office in Milan, Italy. As Regional Manager, Joris is in charge of the portfolio of clients and the relationship management with all stakeholders in the region. He is a Senior Analyst, member of the Quality Control Unit and involved in training and coaching of other analysts. Joris joined MFR in 2010 as Analyst and carried out +70 ratings, assessments and client protection certification, mainly in Africa, MENA and ECA regions, acquiring an extensive field experience as analyst and team leader. Before joining MFR, Joris was involved in different projects in the field of environmental impact assessments and social programs. Joris also worked with CMA Cambodia within the framework of a research study. 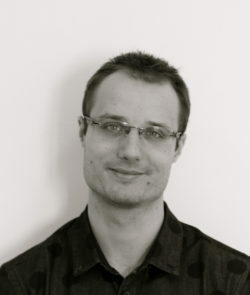 Joris holds a Master degree in Sustainable Development from Paris-Dauphine University and an MA in European Microfinance from the Solvay Brussels School of Economics and Management. He is an Italian and French native speaker and is fluent in English. Joris loves travelling, reading and practices Kong-Fu since he was 15 years old. Ayako is Regional Manager for Europe since October 2018, and she is part of the Quality Control Team, as well as in charge of the internal Country Context Analysis Unit. Ayako joined MFR in 2015 as a rating analyst and has since conducted over 30 assignments in more than 20 countries, mainly in Africa, Europe and South Asia. Ayako has been conducting rating and certification services for FSPs, as well as country studies and advisory services for investors. 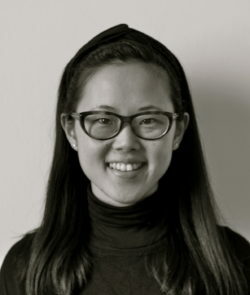 Prior to MFR, Ayako worked for over nine years as a development consultant for international development organisations both in Europe and in Latin America, including the World Bank and a think-tank founded by the Deutsche Bank and the London School of Economics (LSE). Ayako holds an MSc in Local Economic Development and a BSc in Sociology, both from LSE in London, UK. She is fluent in English, Italian, Spanish, Portuguese and Japanese. Outside of work, she is an active volunteer at a local refugee centre. 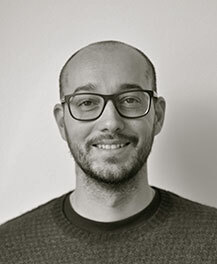 Vladimir is a Senior Analyst based out of Milan, Italy, and since 2018 he is Internal Controller at Group Level. Vladimir joined the team in 2016 as a rating analyst, and he has conducted over 20 assignments including ratings, certifications and assessments of FSPs in more than 10 countries, mostly in Europe and Sub-Saharan Africa. He also supports the Operations Director on budget control and supervision of reporting from the regional offices. Before joining MFR, Vladimir worked as Analyst and Management Assistant at Planet Rating in Paris and, previously, for the Permanent Mission of the Czech Republic to the UN, OSCE and Other International Organizations in Vienna. Vladimir holds a master’s degree in Economics and Business from Paris’s Political Sciences Institute (Sciences Po); he studied International Business Administration at Wien Universität. He is fluent in French, English, Italian and is a native Czech speaker. Sports, traveling and cooking are Vladimir’s biggest passions. 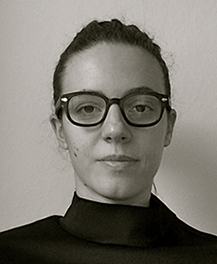 Federica joined MFR in 2017 as an analyst and has since conducted over 15 assignments in several countries of Europe, Africa and South Asia. Federica has been conducting ratings, certifications and assessments of FSPs, as well as evaluation services. Federica is also involved in global projects, supporting the Business Development Unit and the Technical Group . 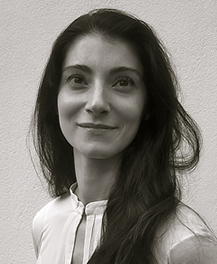 Prior to MFR, Federica worked at the Country Surveillance Division of the European Central Bank in Frankfurt, where she published a paper on private debt, insolvency frameworks and NPLs, and as an intern for the Financité Network in Brussels, dealing with empirical research on financial inclusion. 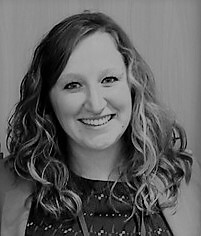 Federica holds a Double MSc in Economics from Maastricht University (Netherlands) and the Catholic University of Louvain (Belgium) and a BSc in Economics from Bocconi University in Milan. She is bilingual Italian / French and fluent in English. Federica loves travelling and meeting people around the world. She is a ski instructor and in her free time she enjoys skiing and the great outdoors. Finance and Administration Manager since 2015, Renata is responsible for the general administration for MFR Italy and for the Holding. She is in charge of administration, budgeting, contracts and financial reporting for the Head Office. She also functionally supervises the administration officers throughout the network. She is responsible for the consolidated financial reporting of the Group. 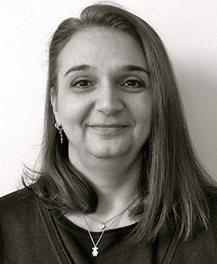 Prior to joining MFR in 2015, Renata has worked as Finance and Project Manager in several SMEs and Corporations in Italy for more than 20 years, acquiring a vast experience in administration and finance. Renata holds a Diploma in accounting and attended several courses on business administration, financial management and accounting.